In many ways, Columbia has the perfect recipe for economic growth: a highly educated workforce, a low cost of living, and a vibrant, diverse community. These ingredients for growth have led to ongoing economic development and low unemployment in Columbia. However in recent years, the city may have been losing out on some of the most exciting opportunities for further growth. Despite all of the city’s attractive qualities, lack of easy access to quality air service was holding the community back. “We know for a fact that we lost a large economic development prospect due to our lack of good, reliable air service,” says Kristi Ray, executive vice president with the Columbia Chamber of Commerce. In its heyday of the late 1980s, up to 60,000 people boarded planes at Columbia Regional Airport each year. But changes in the airline industry led to reductions in service and fewer flight options. Passengers leaving from Columbia dipped to 11,516 by 2007. For a period, the city had to rely on federal subsidies just to sustain basic air service. The airport’s future was very much in doubt. But airport leaders and community stakeholders knew there was too much to lose if Columbia Regional continued to decline. In 2009 and 2010, conditions at the airport began to improve. However, as the crisis eased, city officials sought to do more to help the airport take off. The city brought in aviation consultants. Among the new ideas, establishing a revenue guarantee fund to help entice improved service to Columbia Regional was an attractive proposal. Courtesy of Columbia Regional Airport. Revenue guarantee funds help eliminate the risks airlines face when expanding into new markets. If they fail to sell enough tickets, the fund makes up the difference. These funds are not unusual at regional airports around the country. However, in most cases, the funding comes from federal, state, or local government appropriations. Early on, Columbia airport stakeholders realized they were unlikely to get the entire $3 million they needed from government sources, so they turned to their community. To supplement the city’s $1.2 million commitment, local leaders sought pledges from the local academic and business communities in Columbia and Jefferson City. Ron McNeill, a consultant at Mead & Hunt who worked on the project, says that private businesses sometimes support revenue guarantees. However, the other examples of this happening—at ski resorts and by mega-developers—are different than what happened in Columbia. The effort to raise the $3 million was successful. Local businesses in Columbia and Jefferson City contributed $650,000. 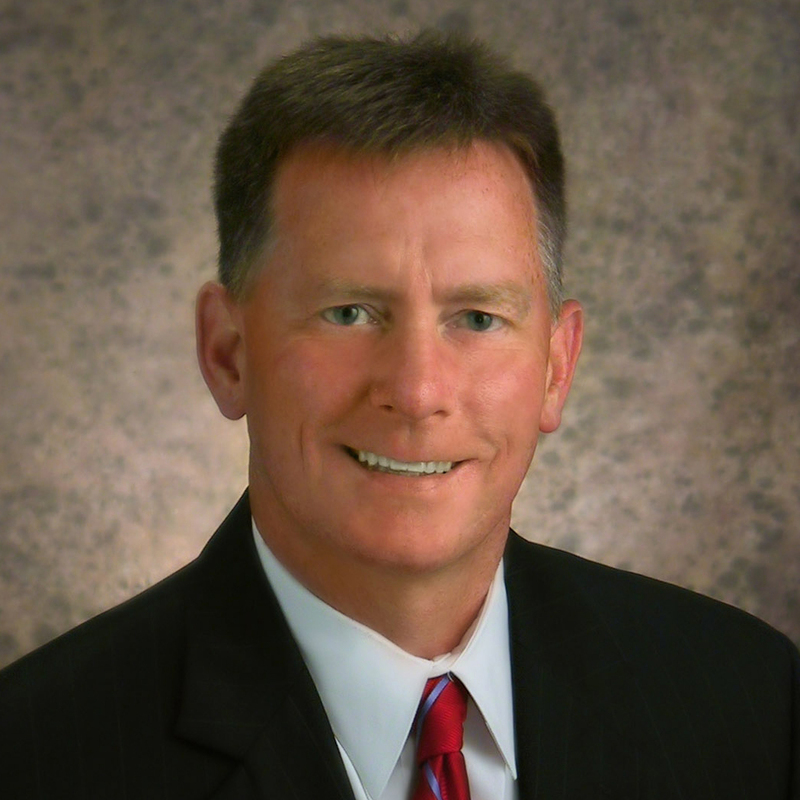 Jefferson City-based Central Bank participated in the fund because leaders felt Columbia Regional was a vital asset to their business and the community. Columbia’s Veterans United Home Loans also contributed to the fund. The effort paid off. In October of 2012, with the revenue guarantee fully funded, the city announced that American Airlines would begin daily flights out of Columbia Regional, offering service to major international hubs in Chicago and Dallas. The flights have been an unprecedented success. About $22,000 of the revenue guarantee fund was used during the first two weeks of service. Since then, the fund has been untouched. American Airlines has even added an additional daily flight to Chicago. Monthly data shows that the Columbia Regional Airport flights are among the fullest in American Airlines’ entire system. The success has more Mid-Missouri residents considering Columbia Regional for flights. 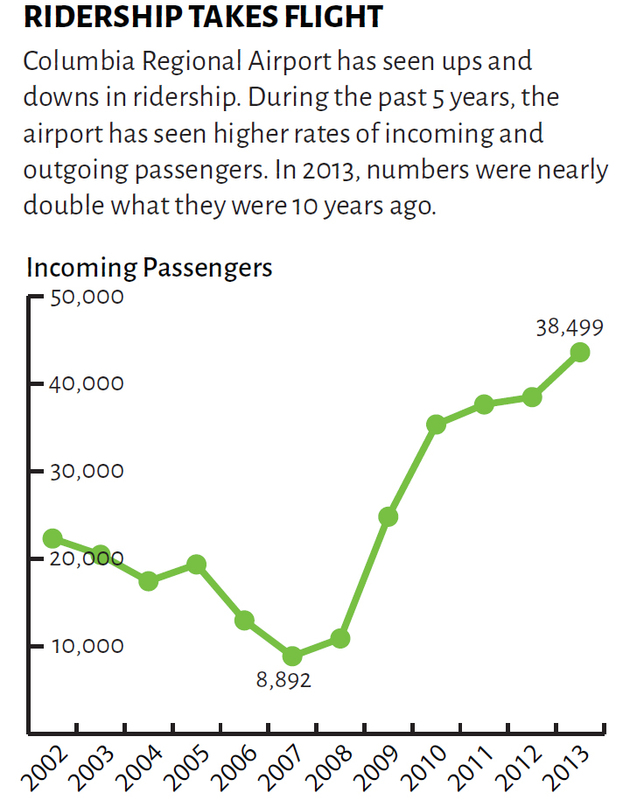 Passenger data reflects the growing interest. In addition to improved flight offerings and competitive pricing, airport leaders say that free parking and personal customer service also attract travelers. With this success, there are bigger plans on the horizon for Columbia Regional. The city is progressing on a number of runway and other improvements that are intended to make the airport more flexible and able to accommodate a greater variety of airplanes. There is also ongoing work to attract more flights to the airport. Further in the future, there are hopes for a new, modern terminal. Even with lofty plans, leaders are far from forgetting where the airport was just a few years ago. And as they plan for tomorrow, they know they have community support.